Rev. Ernest Kan was born in Hong Kong. He graduated from the Hong Kong Chinese University with a Bachelor of Science degree in Physics and a minor in Mathematics. Having been a high school teacher in a government-subsidized Christian high school for four years, he was called to pursue the Master of Divinity in the Chinese University of Hong Kong. After he graduated from the seminary, he served in the Hong Kong Methodist Church and was ordained as Elder in June, 1986. While serving in Hong Kong Methodist Church, he served as minister-in-charge in the local Methodist churches, center-in-charge in the Methodist Social Service Division, and supervisor in the Methodist School Division. Rev. Ernest Kan transferred his clergy membership from the General Conference of Methodist Church in Hong Kong to the California-Nevada Annual Conference of the United Methodist Church in 1992. Since then, he has served in churches in the San Francisco and Sacramento area. 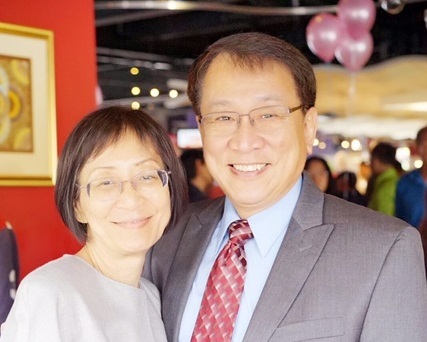 Since July 1, 2016, he has been appointed back to serve in the San Francisco Chinese United Methodist Church. Rev. Ernest Kan has been married to Miss Celia Wong since 1977. The Lord blessed them with two great daughters who are also committed Christians. The whole family moved from Hong Kong to California in July 1992. Their sons-in-law are also committed Christians. The older son-in-law also works as a pastor at a church in the Bay Area after graduating from the Fuller Theological Seminary in 2016.